Sharing with you the latest and greatest sketch from Atlantic Hearts Sketch Challenge. Soooooo many possibilities!! And here's my card, using Stampin' Up products from the Gingham Gala suite. 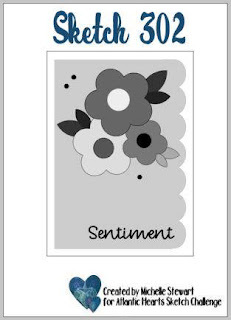 If you'd like an Occasions catalog or any other catalog for that matter, please fill out the "Request a Catalog" info found on the right hand side bar. 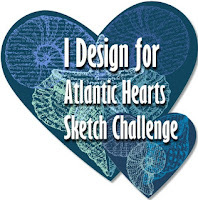 When you're done with that, join us at Atlantic Hearts Sketch Challenge for our latest sketch.